Looks like Soulja Boy just won't let this one go. 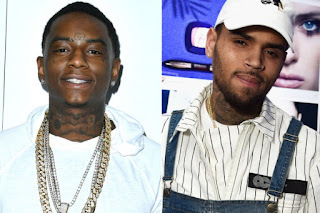 On his Draco Tour, Soulja took a moment to maintain his longstanding beef with Chris Brown. "I said let's get in the boxing ring...he said 'Ok Soulja,'...I will knock Chris Brown out!" he said. Check out the clip above.